With 48% of female population in the country, gender remains a cross-cutting focus across all of PILDAT's programmes and initiatives. Under each one of PILDAT's key initiatives mentioned above, both women and men have been key stakeholders and beneficiaries. Since most of PILDAT's work focuses on institutional strengthening, capability building, enhancing understanding through evidence-based research, analysis and advocacy, PILDAT has continued to contribute to women's political and policy participation and empowerment. Since its inception, PILDAT has focussed on strengthening Pakistan's legislatures as well as elected representatives, including women. PILDAT has been actively engaged with building the capabilities of elected Legislators towards a better discharge of their functions of Legislation, Representation and Oversight. PILDAT regularly conducts training/briefing workshops and sessions for Legislators belonging to the National Assembly and the Senate of Pakistan, 4 Provincial Assemblies as well as 2 Legislative Assemblies of Azad Jammu & Kashmir and Gilgit-Baltistan. Under this stream, PILDAT has especially conceptualised, designed and delivered capacity building, policy advocacy and reform initiatives especially aimed to strengthen women's political and legislative involvement. Such a focus is placed by PILDAT on women’s political empowerment that it chose the theme of Women Representation in Pakistan’s Parliament as the launching of the USAID-funded Project of Strengthening National and Provincial Legislatures of Pakistan in February 2004. A PILDAT background paper titled WOMEN REPRESENTATION IN PAKISTAN’S PARLIAMENT preceded the Workshop. The speakers at the Workshop included the then-US Ambassador Nancy Powell, among others and underscored the PILDAT focus of recognition of women as major stakeholders in the efforts towards improving democratic governance in Pakistan. 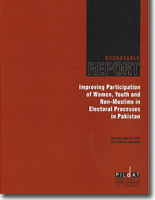 In 2004, PILDAT pioneered the initiative of facilitating and establishing the first-ever multi-party Parliamentary Caucus on Women’s Issues in Pakistan’s Parliament. The Caucus, that worked through the term of the 12thNational Assembly of Pakistan elected in 2002, formed the basis of the Women’s Parliamentary Caucus of Pakistan established by the Parliament in 2008. The multi-party Parliamentary Caucus on Women’s Issues was facilitated by PILDAT to bring together like-minded parliamentarians across party lines to highlight and address women’s issues. PILDAT believed that increased women representation in Pakistan’s Parliament lent a unique opportunity to women legislators to work with their male colleagues to effectively influence and accelerate the process of highlighting and resolving issues faced by women in Pakistan. The caucus, therefore, invited, membership from both female and male parliamentarians to resolve to address women’s issues and had senior representation from major political parties represented in the Parliament at that time including the PML-Q, MMAP, PPPP and MQM. The Caucus adopted a Constitution and continued to work towards identifying and highlighting key issues facing women such as supply of safe drinking water, etc. PILDAT conceptualised, designed and undertook capacity building of Women Committee Chairs of Parliament. The need was felt as owing to unprecedented increase in the number of reserved seats for women in the Pakistani Parliament. A special needs assessment of women MPs was conducted by PILDAT in which most women MPs, barring a select few exceptions, revealed that they required political and legislative orientation in order to engage in effective and meaningful representation in the Parliament. In specific, 17 out of a total of 74 Committees of the Senate and the National Assembly, chaired by Women MPs, required accentuated capacity building to deliver the demands of managing multi-party committees, ensuring legislative oversight of the executive and working with the public. The PILDAT project, funded by British High Commission, delivered special training/capacity building sessions to build capacities of women chairpersons of Parliamentary committees. Enhancing capabilities of women to discharge their representative roles effectively was also supplemented by PILDAT’s focus on developing the capabilities of the young legislators, largely female, in Pakistan’s Parliament. PILDAT facilitated the formation of a Young Parliamentarians’ Forum (YPF) in April 2003 by inviting young legislators of Pakistan from both the Senate and the National Assembly to be members of the YPF. The YPF was created by PILDAT. in view of the fact that quite a large percentage of MPs (26% MNAs and 12% Senators in 2002-2003) was under the age of 40 years and, in most cases, was elected for the first time. PILDAT felt that there was a need to establish a platform where they could share ideas, build inter-party and inter-regional networks and develop legislative and leadership skills. While PILDAT served as Secretariat of the Forum until the 13th National Assembly after which the young MPs were encouraged to take the lead of the Forum inside Parliament, the Forum was assisted by PILDAT to adopt its Constitution and elect office bearers that included young female legislators as Secretary (Dr. Donya Aziz, MNA PML-Q); and Joint Secretary (Ms. Asiya Nasir, MNA MMA) in the 12th National Assembly. In the 13th National Assembly, the YPF was facilitated by PILDAT to elect Executive Committee and Office Bearers who included Mr. Faisal Karim Kundi, Deputy Speaker, as Patron of Young Parliamentarians Forum while other office bearers include Dr. Donya Aziz, MNA (PML) as President; Ms. Farzana Raja, MNA (PPPP) Vice President; Ms. Anusha Rahman Khan, MNA (PML-N),Secretary and Ms. Asiya Nasir, MNA (JUI-F) as Joint Secretary. The YPF continues to function inside Parliament after the 2013 General Election with Ms. Shaza Fatima Khawaja, MNA PML-N as General Secretary and Ms. Romina Khurshid Alam, MNA PML-N as Media Coordinator. 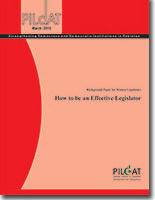 With PILDAT’s facilitation and assistance, the YPF created its website, http://ypf.org.pk/worked on a reform agenda for change of parliamentary procedures and lobbied for it in both houses, held Training Sessions aimed at enhancing capacities of young MPs as YPF members and organised two YPF Study Visits to Germany to interact with young German MPs and Study Visit to India to provide Young Pakistani legislators with an opportunity to learn from the tools, techniques and best practices of the Indian legislative and democratic system. Political participation and capacity building of young females including their male counterparts has also been the aim of PILDAT’s Youth Parliament Pakistan. Launched in 2007, the Youth Parliament has successfully concluded 8 terms so far. (in 2007, 2008-2009, 2010, 2012, 2013, 2014 – 2015 and 2016). The Youth Parliament Pakistan has its own 2- party system, Leader of the House and Opposition, as well as an augmented system of Parliamentary Committees with Committee Chairpersons. The establishment and facilitation of the YPP is part of PILDAT’s focus on the country’s youth demographic and it’s awareness, education and training in the norms of politics and democracy. In 8 batches of YPP, young females were elected as Deputy Speakers, Leader of the Opposition, Ministers and Committee Chairs. One of the esteemed female member of the first-ever Youth Parliament Pakistan in 2007 has been elected as a Senator in 2018. The Youth Parliament has continued to serve as a great platform through which a representative section of the Youth of Pakistan have practiced and experienced life under a political and Parliamentary spotlight. The young members of Youth Parliament Pakistan chose political association, elected their Youth Prime Minister and Leader of the Opposition, a Youth Cabinet and a Shadow Cabinet, debated public policy issues, worked in Parliamentary Committees and gave their detailed input to some of they key policies of the Government of Pakistan such as the Draft Youth Policy, proposed legislation on Provincial Autonomy and a host of other issues. The young members, drawn from across a cross-section of socio-political and economic spectrum of Pakistan, learnt and practiced how to prepare and move legislation, how to enlist support of their fellow members on their bills and resolutions in the House and how to reach consensus and compromise through the use of conversation, dialogue and understanding of the others’ concerns, views and perspectives. The PILDAT focus on strengthening political leadership of women extends to strengthening and sustaining female leadership capabilities. 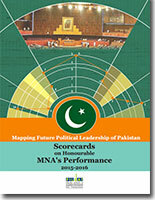 A PILDAT Study on Mapping Future Political Leadership of Pakistan, prepared in 2016 by compiling and analysing political and social profiles of 20 political personalities of Pakistan included 6 female political leaders. Alongside capability enhancement of female MPs, PILDAT has also focussed on analysing performance of individual legislators in Parliament. 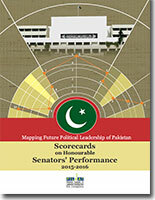 Each PILDAT analysis and study highlights and celebrates women MPs for their outstanding performance. Elections are a fundamental pre-requisite for democracy. They play a significant role in nation building as everybody has one equally counted vote regardless of gender. For an effective functioning democracy, however, the role of citizens is not just limited to voting; they need to engage fully in the electoral processes through their conversion from potential voters to active democratic participants. As a developing democracy, Pakistan has quite a voyage ahead of it in terms of effective participation of all its citizens in the electoral processes. While problems exist in providing level playing field to all citizens to participate effectively in electoral processes, these become acute in the case of marginalized groups such as women. 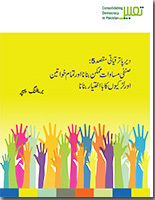 PILDAT has continued to focus on the issues of effective participation of Women in the electoral processes in the country in terms of discussing and advocating against various political, cultural, societal and systematic barriers. 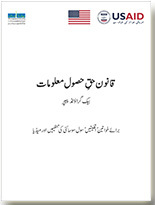 Many papers and studies and opinion pieces by PILDAT such as Where are the women voters? 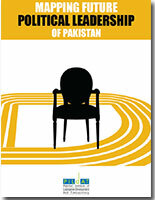 are continually prepared by PILDAT for policy advocacy on the issue. 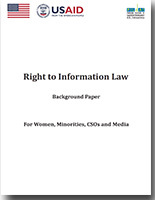 PILDAT has continued to promote the legislation and effective utilization of effective Right to Information (RTI) laws in Pakistan since 2002. Apart from being an internationally protected human right and recognized as a fundamental right in Pakistan’s Constitution, an effective RTI law is vital for ensuring transparency and accountability in democratic governance. PILDAT firmly believes that if information is a cornerstone of accountability, participation and citizen voice, then women are in great need of it, not only as a theoretical right, but also as one that can be practically exercised and that leads to real transformation. 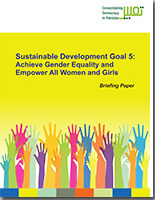 With access to information, women would be afforded a new instrument to contribute to overcoming the gender disparities and traditional constraints that have historically kept them disempowered and disenfranchised. PILDAT is therefore executing a project specifically focussed on Enhancing Empowerment of Women and Minorities of South Punjab through more effective use of RTI Law.